Private Investigator NJ, Computer Forensics | New Jersey P.I. You're getting married and want to know the details of your partner's past before you say, "I do." You're ready to hire a high-level exec to lead a team for your company, but you don't want to leave any stone unturned when it comes to his or her background check. Your law firm is working on a big case and needs some investigative work that is outside of your attorneys' scope. Whatever it is you need to know, the New Jersey private investigator at Targeted Investigations Group wields the experience, skills and savvy to find out. Learning the full truth of a situation gives you the power to make an informed decision that will leave you comfortable at the end of the day. When you choose to work with our trustworthy, discreet private investigators, you'll know that you're getting the details you need in a timely manner. We'll make sure to keep in touch with you as the investigation progresses and answer any questions you may have. Don't you deserve to know the truth? Get in touch with us to get started on your investigation now. We provide private investigation services and forensics to all of New Jersey including Belmar, Ocean Township and the surrounding areas. Could Your Significant Other Be Cheating? Mr. Colicelli was very thorough and professional in his investigation of the individual I was interested in. His career experience, street wisdom and contacts/relationship with the local police were all very helpful, and he leveraged these very well. He guided me through the whole process and suggested next steps, making everything very easy for me. He went above and beyond, and took a personal interest and empathized with what I and other family members were going through. And he did all this remotely (since I live 1,000 miles away from New Jersey); I hope to meet him in person someday to thank him again for his caring and thorough investigation. Mr. Collicelli was very helpful and professional. He followed through with the investigation he did for me to help me get the information I needed in a timely manner. Targeted Investigators work very quickly on the case and keep you up to date as they go along &successful in finding out what is going on and relief of my worries. Targeted Investigations has decades of practice uncovering information in tough cases and paying attention to every detail involved. Once uncovered, our investigators put the intelligence together for a comprehensive result. 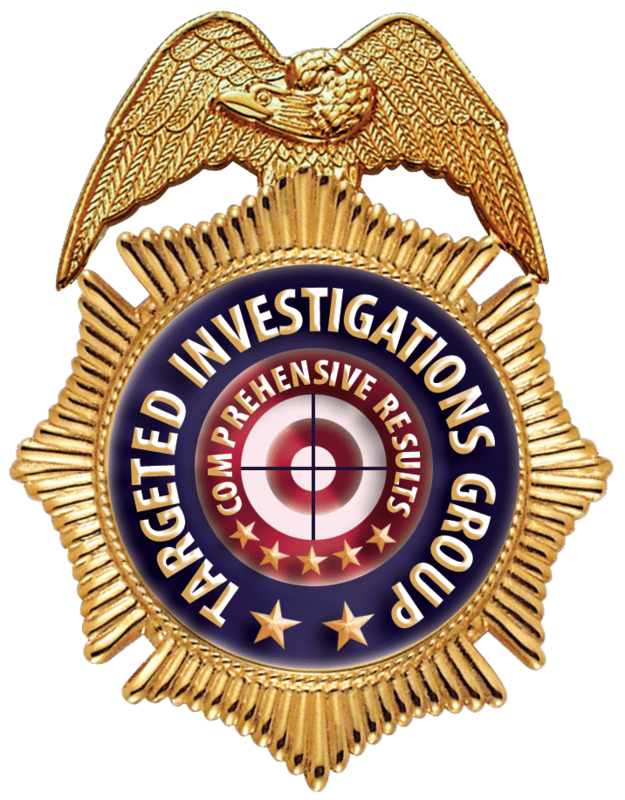 While there are plenty of people who call themselves "investigators," Targeted Investigations Group is made up of individuals with true experience and success in the field. All of the investigators at this New Jersey group are retired law enforcement supervisors and detectives. They have decades of practice getting information in tough situations and paying attention to every detail involved. Excellent investigative work isn't learned overnight. Take advantage of the tried and true experience honed by the detectives at Targeted Investigations Group when you want dedicated professionals in your corner. Don't hesitate to contact us to learn more about how we can help you with your investigation. Are you feeling hesitant about hiring a professional investigator? The bottom line is that you want to know what's really going on, and you probably won't rest well until you get the information you desire. New Jersey's trusted investigators at Targeted Investigations Group are ready to get you the facts so that you can make decisions for your next steps. Whatever your situation, we'll guide you through the process with the utmost respect and help you obtain the information you need to give you peace of mind. The investigation can't begin until you give us a call. Reach out today so we can help. You need the best investigators possible to give you the important facts to mount a successful defense. The Targeted Investigations Group have conducted numerous complex and intricate government investigations which translates into having the ability to analyze, interview and research the facts you need to maintain corporate integrity.